Suffolk Barn is a magnificent 15th Century timber framed building situated in a unique position surrounded by ancient parkland close to Bury St Edmunds. 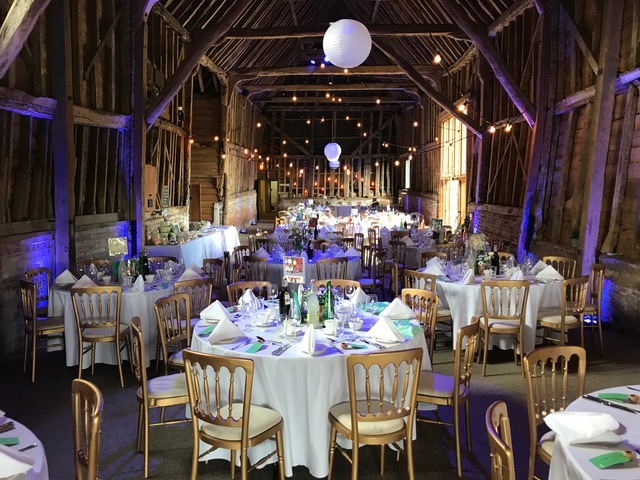 Constructed in 1423 as part of the base court for a grand medieval house at Hawstead Place, the restored barn is today used as a fantastic venue for weddings, parties and concerts. Our grateful thanks to Rupert and Milly Brown, current owners and care-takers of Suffolk Barn, for donating their magnificent venue to Music4Causes events. Suffolk Barn is located just outside Hawstead village, 2.5 miles from Bury St Edmunds, 15 minutes from Newmarket and 35 minutes from Cambridge.